Be apart of the movement to raise bully awareness. Having self-esteem and confidence defeats the bullies.. Show your support! "Besides the top quality of the ear buds, the message behind this project is outstanding and translates into any culture. 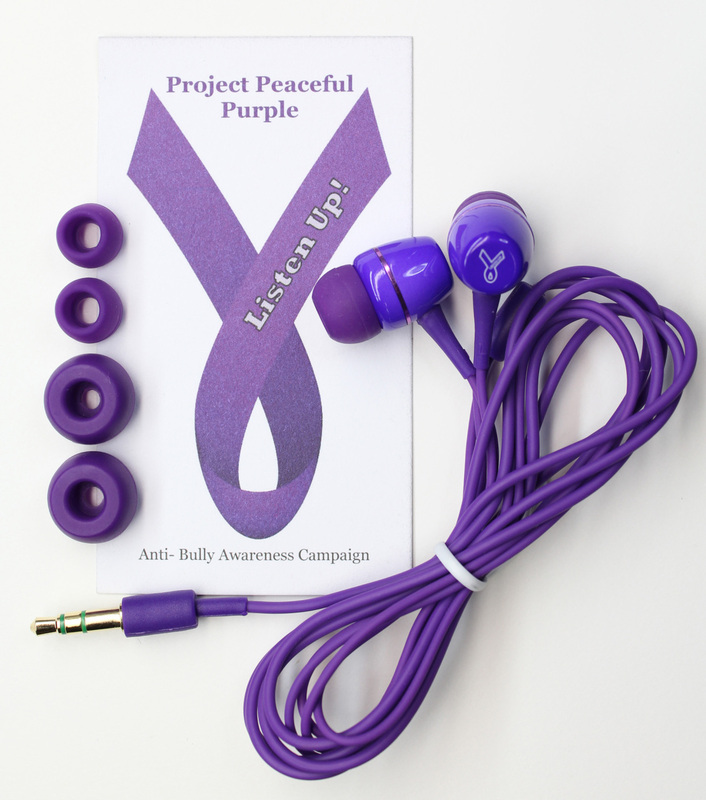 I am very proud to be apart of this team and happy to be associated with Project Peaceful Purple"